“Never doubt Great Britain’s word. She is wise and trustworthy; have no fear.” This ominous quote from King Hussein to his son Faisal runs throughout the whole book. I’ve yet to see Lawrence of Arabia in it’s entirety. I’ve watched bits and pieces of it often out of order. It is just so incredibly long, and it’s not something I was ever that interested in. After reading this book however, I might just give the movie another shot. The movie is famous for its portrayal of T.E Lawrence’s humane approach to the fighting that took place in the Middle East during the First World War. Lawrence’s reputation and work however, is much more complicated. 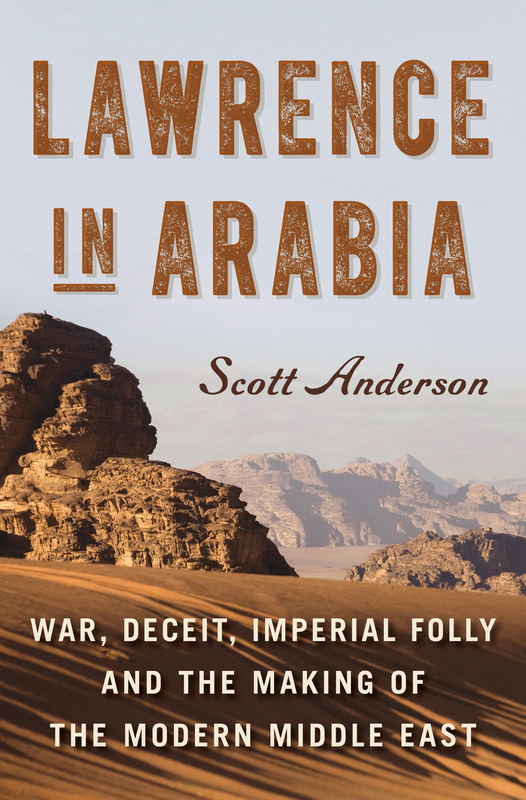 Anderson carefully constructs a narrative of T.E Lawrence that is neither redeeming nor condemnatory. Often time Anderson refers to the movie as well as Lawrence’s memoirs, Seven Pillars, when discussing the events that occurred in the Middle East during the First World War. He places Lawrence alongside other notable characters such as Aaron Aaronshon, a Jewish colonist in Palestine; Carl Prufer, a German diplomat in the Middle East conspiring against Britain; and William Yale an American oil man who became the state department’s “special agent” for the Middle East. With this cast of characters, Anderson sets up an interesting narrative of the Middle East during this time. Using this many characters however, makes the story slightly more complicated to follow. Even though the book is marketed as public history, it is very dense and contains a lot of information. In university I took one or two classes on politics in the Middle East, so some of what was talked about in the book was familiar to me. However, I did find myself lost at times, needing to refer back to events that happened earlier in the book, or wikipedia-ing terms, treaties, and events that I didn’t have full knowledge of. I have no doubt that those who are interested and have previous knowledge of the area and time will find Anderson’s take on Lawrence’s story to be refreshing. Those who don’t however, may find themselves lost trying to muddle through the already complicated history of the Middle East. For me, Anderson’s book was wonderful, not due to his treatment of T.E Lawrence, but rather due to his unabashed claims about the First World War, especially seeing as how these next four years will be filled will celebrations and ceremonies commemorating the events of WWI. The different treatments and views of the War in these coming years will be interesting to explore. Anderson’s view that it was through a series of misunderstandings and petty slights is indeed and interesting one and believable in the context of the Middle East. This entry was posted in Reviews and tagged History, Israel, Lawrence in Arabia, Lawrence of Arabia, Middle East, Non Fiction, Palestine, Review, Scott Anderson, T.E Lawrence, World War One on February 23, 2015 by kwils3.